This year’s Dorset Business Awards Gala Dinner will be held in the Windsor Hall at the Bournemouth International Centre http://www.bic.co.uk/, on Thursday 1st November 2018. The annual celebrations will include an incredible production conceived and delivered by Dorset Chamber Premier Partners Brighter Productions. For four years the awards have been produced by the expert technicians who ensure that Dorset has a night to remember. Together with the creative prowess of our creative partners Global Brand Communications who are producing all of the evenings visual motion graphics with the stunning finalist images from Studio Shotz the overall the evenings experience will be immersive as it will be impressive. This event is special, unique and important to the county’s business community and will be Hosted for the second time by Rick Jackson from Wave 105 and his team with guests made up of entrepreneurs, politicians and media representatives, sponsors an finalists. The awards ceremony offers a unique opportunity to network, exchange ideas and celebrate with the county’s top business leaders. The event s a black tie gala event is a must-attend for anyone in the Dorset business community. 13 awards will be presented with a trophy kindly sponsored for its second year by Rotary Wessex. following a delicious three course meal courtesy of our Gala Dinner Catering sponsor BH Live Hospitality. 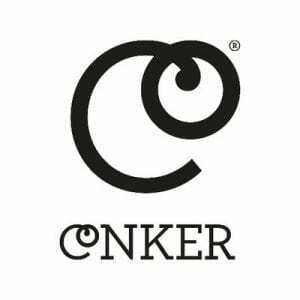 The evening will kick off with a drinks reception in the Solent Hall sponsored by Caterpillar with a welcome drink provided by Conker Gin. After the ceremony guests are invited to the official after party at 1812 (across the road from the BIC. Tickets are now closed for this year’s event, guests who have purchased tickets will be receiving their tickets in the coming days.